Medical Room: Latest on English, Stringer and Dunkley Thanks to Melrose Health, find out the latest Bulldogs injury news on Tim English, Jake Stringer, Josh Dunkley, Fergus Greene and Pat Lipinski. Scans have confirmed that first year ruckman Tim English has avoided any serious damage to his face after a heavy collision in the VFL on the weekend, according to Western Bulldogs head physiotherapist Chris Bell. 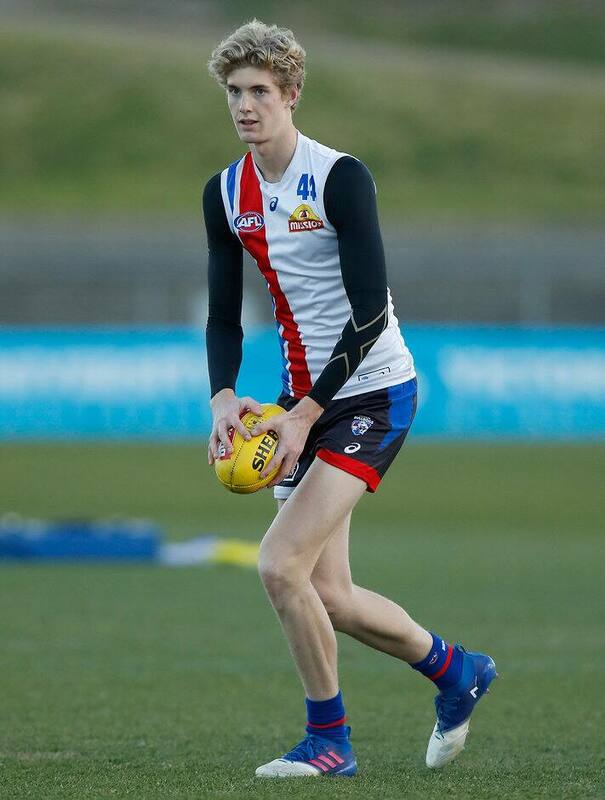 English didn’t return after halftime following a heavy knock during Footscray’s loss to Williamstown on Saturday, but Bell said the news is good 19-year-old. "Scans yesterday confirmed that Tim avoided any serious or structural damage to his face," Bell said. "[He] will join back into full training this week and is expected to be available this weekend." The news is also positive for forward Jake Stringer, who’s set to return to the training track as he recovers from a hamstring injury suffered against Carlton in Round 17. "Jake is making some fantastic progress in the recovery following his hamstring injury, and is expected to resume full training next week," Bell said. It’s also good news for Josh Dunkley, Fergus Greene and Patrick Lipinski, who are all likely to return to play this weekend. First year players Greene and Lipinski have recovered from wrist and hamstring ailments respectively, while Dunkley will be available for selection for the first time since Round 7, Bell said. "Josh has shown great progress following his should reconstruction," he said. "He’s back into some full training this week, he’s ticked all of our strength and contact measures and we expect Josh to be available this weekend."